Copper Chef 2-Piece Electric Skillet, 12"
Serta Perfect Sleeper Memory Foam Blend Couch Pet Bed, 24" x 20"
Get $100 Sam's Club gift card with qualifying purchase. 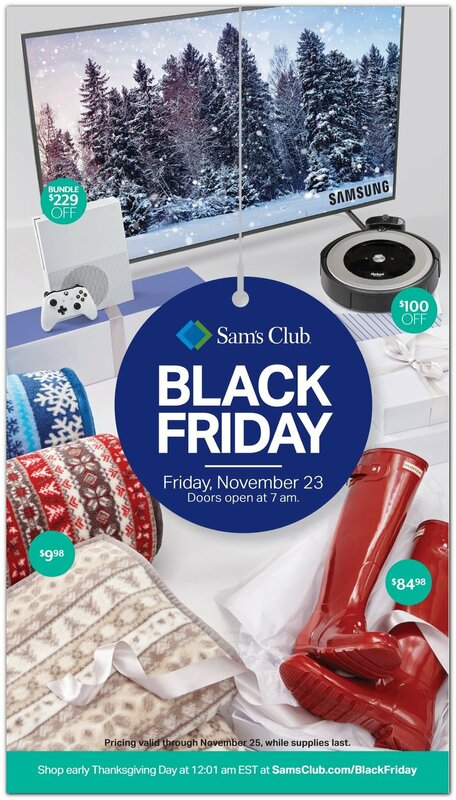 At Sam’s Club, the Black Friday sale continues the store’s month of deals, including its One-Day Sale on November 10 and Instant Savings sale that lasts through Nov. 25. Black Friday deals will go live online on Thursday at 12:01am EST. Stores will be closed on Thanksgiving and open at 7am on Black Friday morning. Save big on home electronics deals such as TVs, cameras, phones, and computers. Keep in mind some of the top deals may sell out fast in stores. See our Sam's Club store page for an exclusive giveaway plus additional coupons and promo codes.